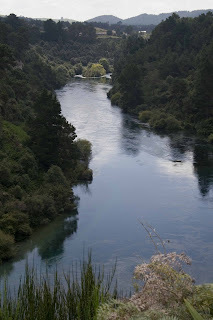 Taupo, where I had been last year, is still beautiful and peaceful. 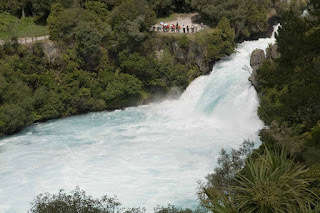 We visited the “Craters of the moon” and “Huka Falls”. 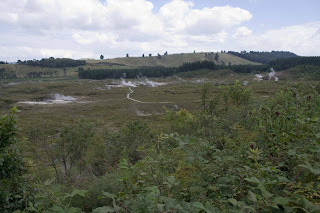 Craters was a disappointment, but as the Lonely planet book suggested, don’t pay the $10 to go in to the park, simply stop on top a particular hill and sneek past a no entry sign to enjoy the view (as per the photo). I love saving money as a tourist! 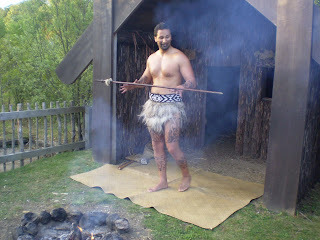 Finally, finished Taupo with a traditional Maori Hangi and ceremony. 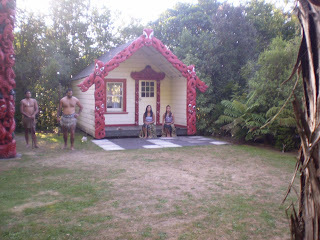 Saw a live Haka, which was made famous by the All Blacks rugby team and was a dance performed to scare the enemy before a battle, quite good. Mom headed back to Canada last Thursday, March 8, 2007 and now I am on my own again. Time to start catching up on blogging and email!!! Note: Mussels are bloody cheap here! Cooked up some mussels on the bbq one of the nights for only $1.95/kg (typically $20/kg in Canada, I think).